I love creating new desserts, especially when it means that I get to trick my boys into eating more fruit than they otherwise would. 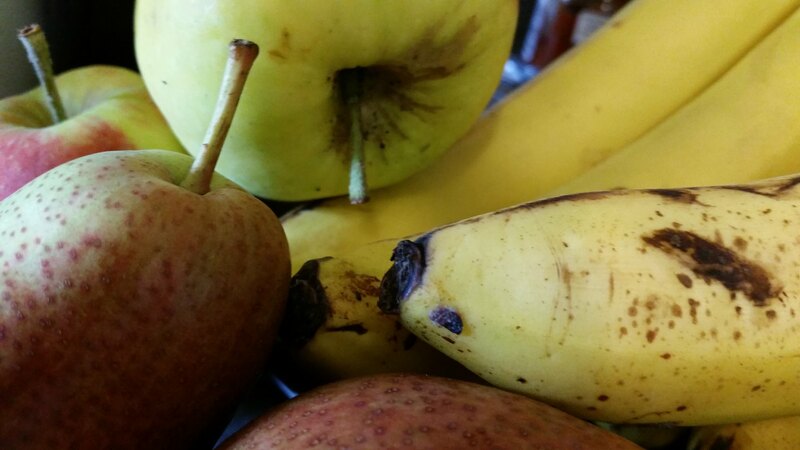 One day I realized that we had apparently purchased too many bananas, apples and pears and that at the rate we were eating them, more than half would end up in the garbage. I detest wasting food so I set up shop in the kitchen to make a tasty, healthy snack. Here is what I came up with! So much fruit at the end of its shelf life! 1. Peel and dice the fruit. Mix them all together. 2. Whip the cream until it becomes light and fluffy. Sweeten to taste with sugar. 3. 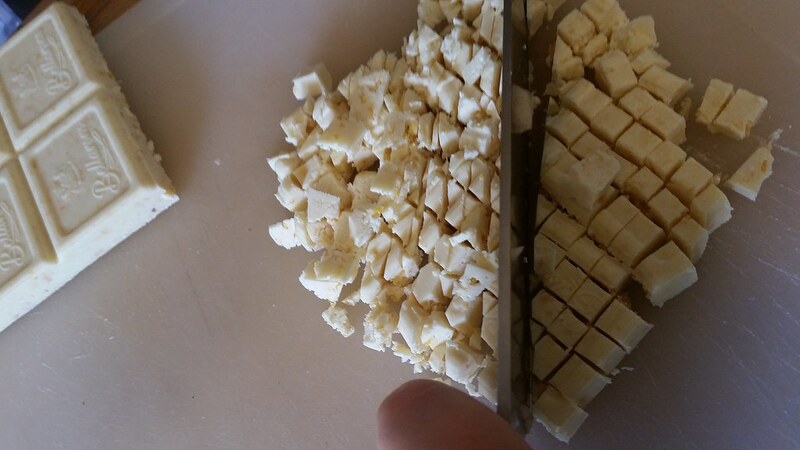 Chop the white chocolate into bits. 4. Arrange your glasses and begin layering your ingredients. Place a good layer of chocolate at the bottom of the glass, add a layer of whipped cream, then fruit, repeat until the glass is full. Finish the presentation with a pretty layer of chopped chocolate on the very top. The children loved it! Usually I really have to force them to eat their daily bit of fruit but they kept coming back for more until the bowl was empty. 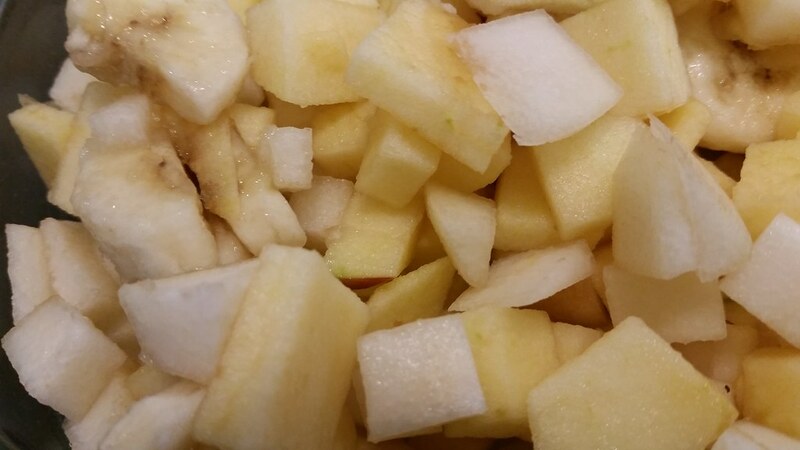 I made it again a week or so later for a family visit and my goddaughter was ever so happy to help me chop the fruit in the kitchen. Let me know if you come up with any tasty variations of this recipe !